I shut the door and get ready to hitch a ride as my friends leaves. 5 minutes, a car pulls up and the man invites me in. Estacion Wadley is a dusty one-road town, no cell coverage, nothing really exciting but… the sacred plant. It became a mecca for the spiritual seekers, flocking to the desert looking for a trip with the abuelito. The prehispanic people used it a lot in their ceremonies and it was highly worshipped as a means to reach god. It’s a big chunk of this tribal culture and I got interested in it. 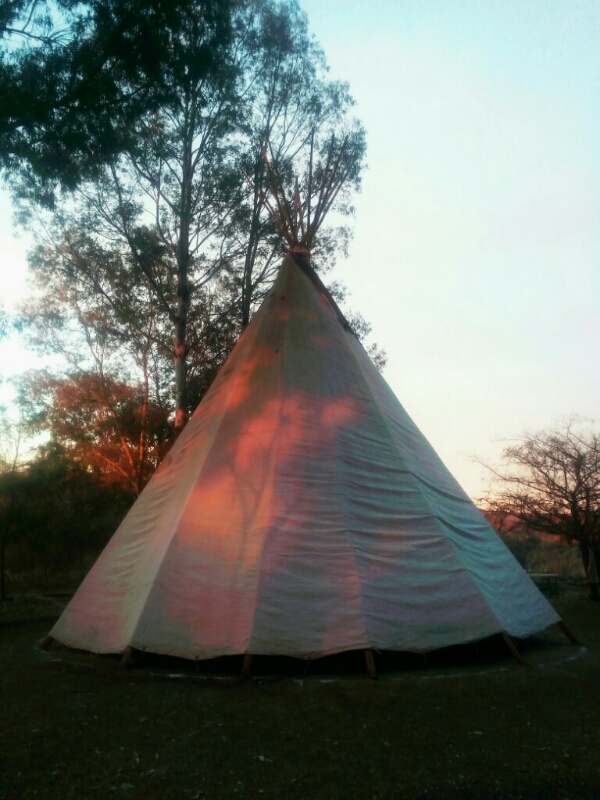 I personally have had my own experience, a couple of months ago (I know, I haven’t written in a while), and it was literally mind blowing, an old Navajo chief came to a small community and run an entrancing all-night-long ceremony in a teepee, gathered around the sacred fire, chanting and drinking peyote tea. But this time I want to try it alone, in the desert where it originates, find it or, as local people like to put it, let yourself be found by the cactus, eat it, spend the night over, come back. Easy uh? In Wadley I ask around for Mr S. and a man points to the very last house of the road. The building looks like many others, a rough brick house, no plaster to the walls, an iron door. A red one. I knock. A man in his forties open up, dark skin and a hat on his head. We talk briefly, he offers me to spend the night at his sort of hostel, he just got a room freed up, but I want to go straight to the desert because I’ve been fasting since yesterday to prepare my body to receive the cactus. He takes an old and rusty Jeep out of his courtyard and tells me to hop on. 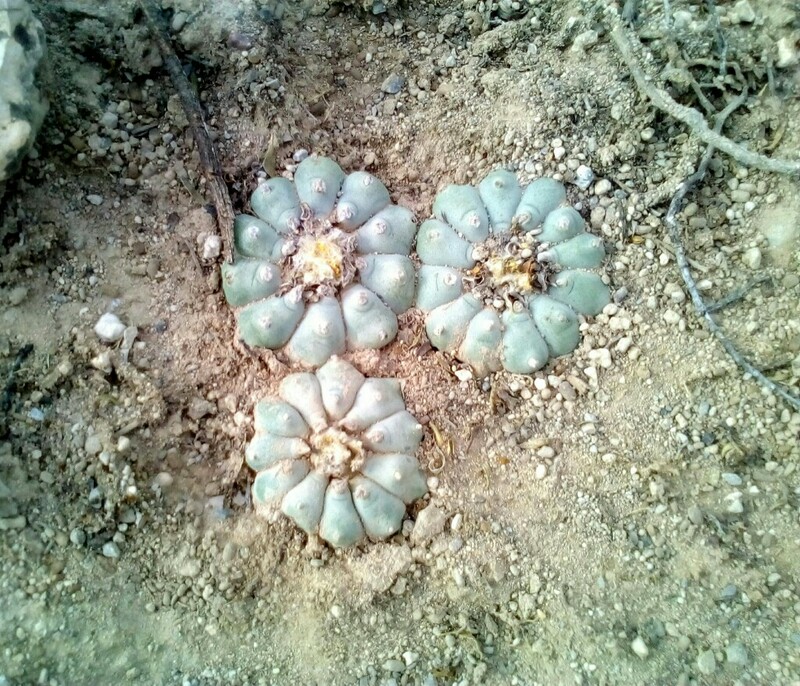 It’s a 12-kilometer drive, he says, because you want to get away from the beaten track, where people have plundered all the peyote throughout the years. But he knows a good, shady spot. The path winds across the short Gobernadora shrubs and a lot of spiny stuff, cactus of all shapes and colors. 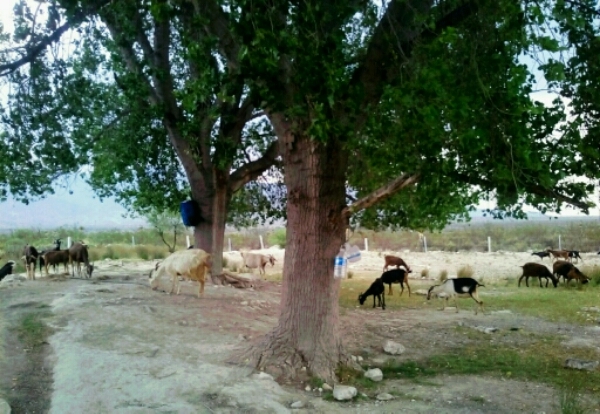 We finally get to the site, a nice little oasis, two tall trees to provide shade and a pond for the livestock, mainly goats, that brow here every now and then. The guy wants to make sure I know where and what to look for. 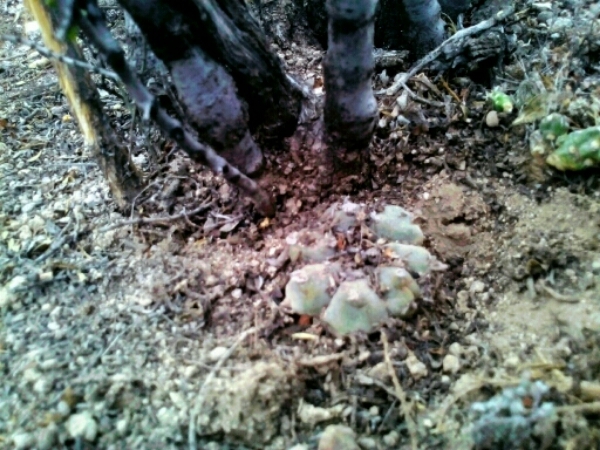 We walk a few minutes inside the bushy area and he immediately spots a peyote that I would have never seen. It’s like mushroom picking, you have to get your sight used to it. He removes the soil around, cuts it at the base, puts the soil back on top so it can grow again in a few years. He peels off the woody skin, takes the spikes out and also removes the white hairs in the center, leaving the plant ready to be eaten. I get it. I just need to find a few more. Mr S will come to pick me up tomorrow. A nice little harvest! Luckily the day was cloudy, so the sun didn’t hit hard on my back. I could even feel some raindrops falling. Refreshing. I pick up some wood too, for the bonfire, clean up the space to settle myself in and start working on the peyotes. As the night falls I start the fire and chill on my sleeping bag on the grass. I hear thunders far away. The last light of the day shows some heavy clouds atop the mountains behind me. It must be some local showers on the heights, I think. 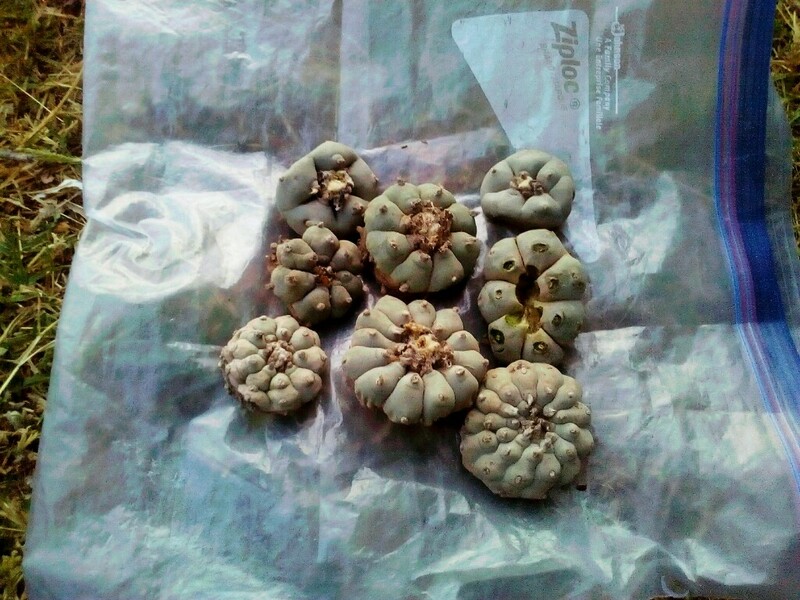 I make my offering to the fire and eat the first peyote. Bitter as hell! 40 minutes later it kicks in. My mind starts focusing on objects, patterns appear in the fire, when I close my eyes I see colorful natural shapes and geometries. It’s the first level of the trip, a peaceful well-being and an attentive mind. The thunders are becoming louder and a breeze starts to arise.